I wonder if anyone could help me with this one? 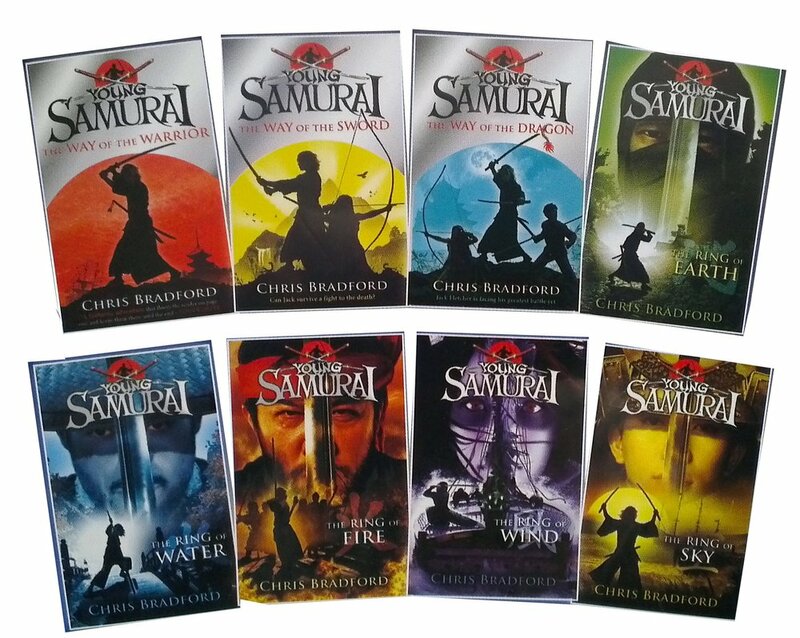 "All that I remember is that it's a fantasy book, it had a sequel of three books done all by the same author, it was about warriors or samurai, martial arts and set in Japan. There were three main characters, two boys and a girl. The colour scheme of the first book was silver and red with these three characters on the cover, the second book was silver and yellow, and the third silver and blue". I would be grateful for any help as this has stumped us.